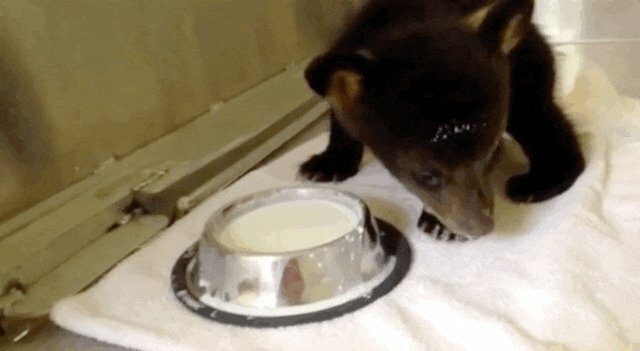 Two teeny tiny bear cubs were recently rescued from the side of a road - and they will steal your heart. 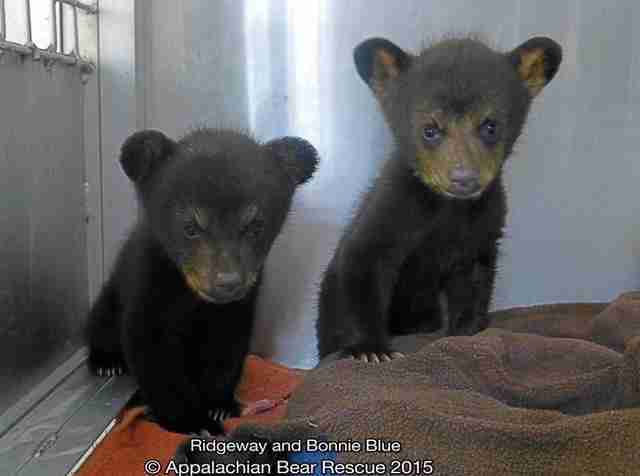 Ridgeway and Bonnie Blue, a brother and sister, were found abandoned by the side of the Blue Ridge Parkway in North Carolina earlier this month. 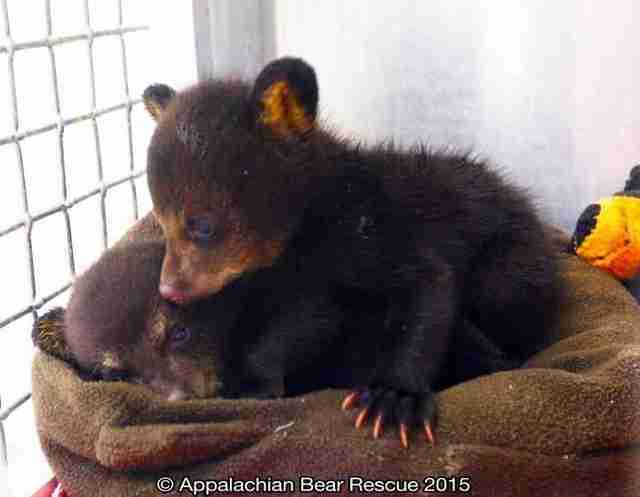 Responders were unable to find out what happened to their mother, and the little pair was taken in by the Tennessee-based Appalachian Bear Rescue (ABR). 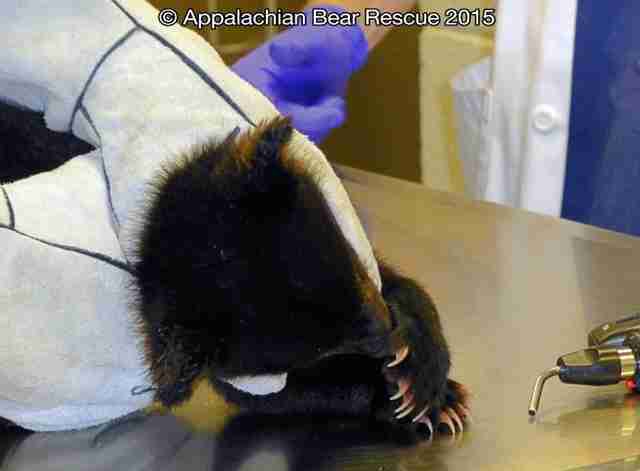 Fortunately, the 2-month-old cubs were in good shape, though they were both dehydrated from being on their own for the past 24 hours. 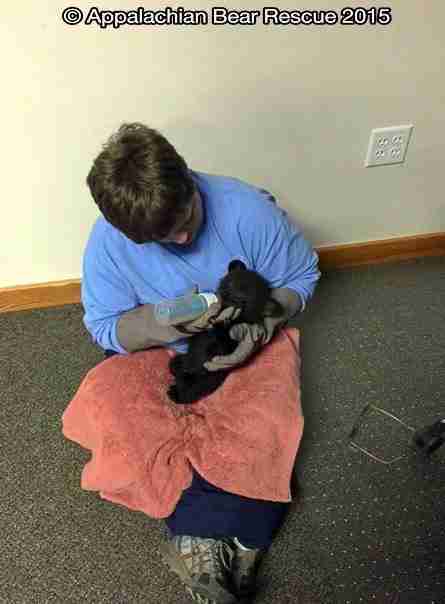 According to a post on ABR's Facebook page, Ridgeway was lethargic when he was first found, but soon perked up with the help of some Pedialyte. 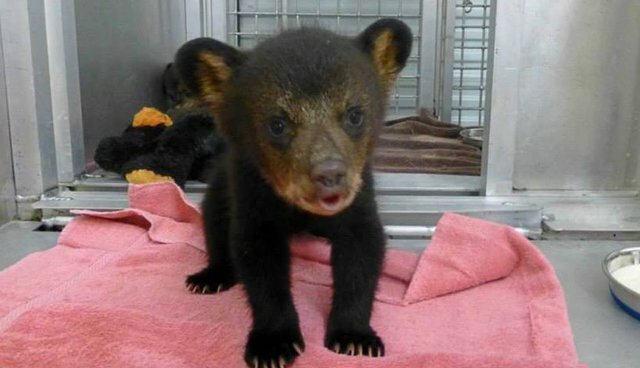 Now, the rescue is documenting every step of the little cubs' rehabilitation, and the results are adorable. Here's Ridgeway enjoying his bottle. And Bonnie Blue learning how to drink from a bowl. And here they are trying to wrestle with each other. 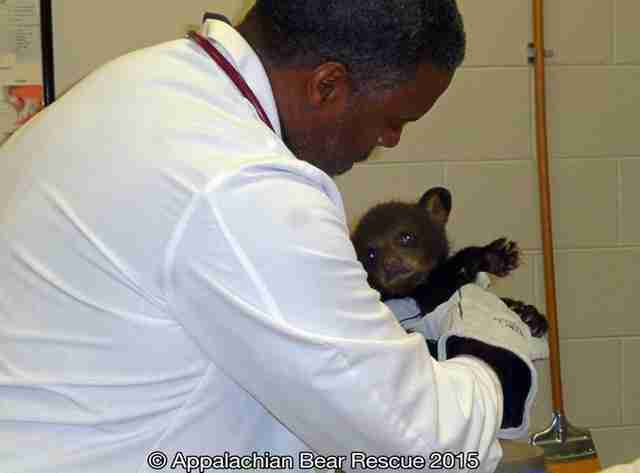 ABR hopes to return the cubs to the North Carolina wilderness when they're big enough. They'll stay in their cozy cage until they learn to eat on their own, and then they'll be transferred to an outdoor area where they can learn to survive in the wild. 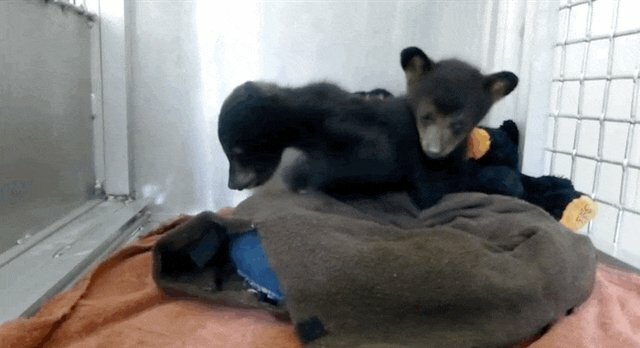 In the meantime, the most important thing is to make sure these bears maintain their wild instincts. 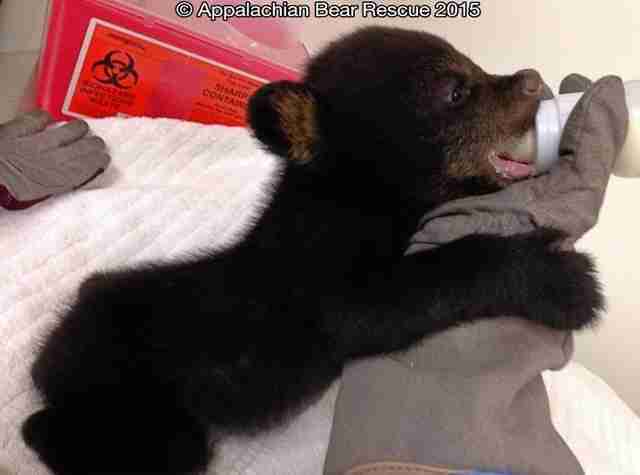 The bears have very limited human contact and are monitored remotely via a baby monitor. And though they're only a few pounds each, they already have the temperaments of wild bears - and have learned to express their displeasure at human contact. In one picture, Ridgeway can be seen trying to take down his vet. "The male is gentle and calm, but will huff and blow at curator when approached," one of the their carers wrote in her notes the night they were taken in. "The female is feisty and smacks and blows at curator when approached. She is also a biter, but thankfully, doesn't have her big girl teeth in yet!" 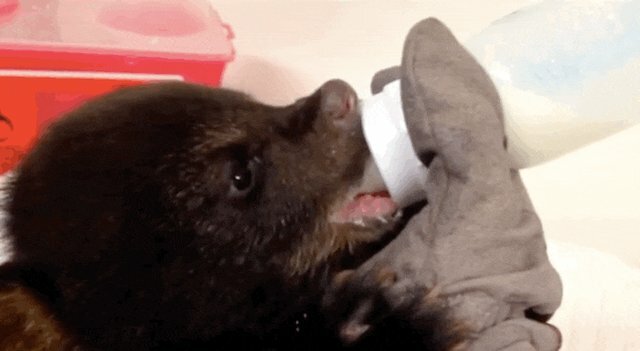 "We don't know what happened to their mama," she added, "but she did a good job teaching them to be wild little bears." To stay updated on Bonnie Blue and Ridgeway's development, follow ABR on Facebook.